Harking back to old-Hollywood glamour, channel-tufted upholstery, instantly makes the room sexier and more sophisticated. 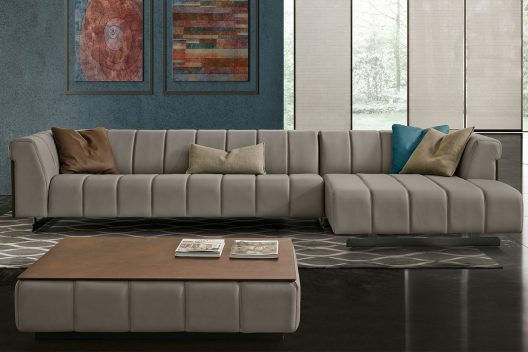 Part of the newest additions from Italian furniture design houses such as Cattelan Italia, Gamma Arredamenti and Costantini Pietro, are striking creations that sport this elegant treatment, suggesting that channel inspired tufting is having a moment. 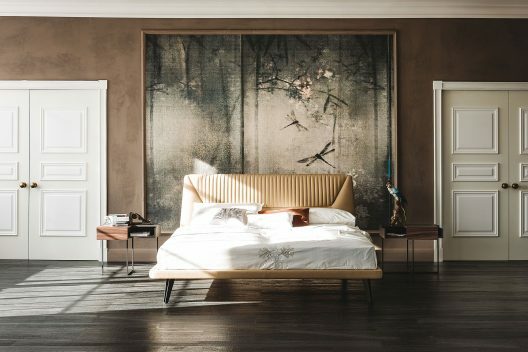 Here’s three of the latest iterations that include a bed, a sectional and a dining chair collection that can help bring this style trend home. Refined taste with design styles that range from modern, traditional, minimal and industrial can often constrain a space from its fullest personal expression because of non-verbal design rules that suggest a singular decorative definition. However, the seemingly layered arrangement frequently ensues in the coexistence of multiple styles in the same room. Mixing and matching eliminates rules and restrictions that are particular to certain design styles. For example, a Chesterfield sofa that’s associated with 17th century British aristocracy is perfectly combined with a minimalistic Abaco bookcase by Tonin Casa, further emphasizing the clashing styles through a colorful Fly magazine rack. 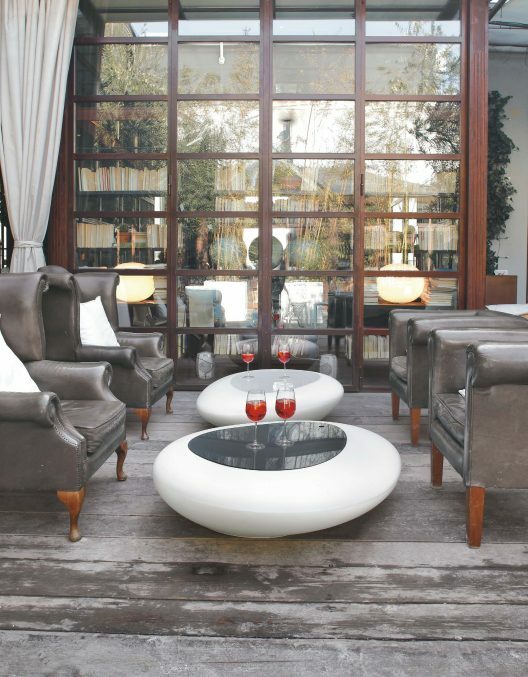 Along the same lines is an example of traditional weathered grandfather leather armchairs that are counterbalanced with sleek plastic Kos coffee tables, resulting in a dimensional space with poetic simplicity and authentic expression. How to pick the perfect stool for your kitchen, bar or game room? Wrong height, too wide, wobbly and uncomfortable may be some of the problems that send people in search of a replacement stool for their kitchen counter, bar area and even game room. To steer the selection process in the right direction, it is important to note a few very important details that can serve as possible filters and eventually help select the perfect stool. First, you need to identify whether you need a counter or bar height stool. 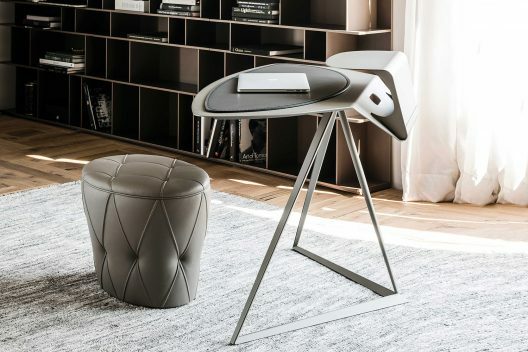 Most popular collections like Filly stool by Bonaldo and Cindy stool by Cattelan Italia offer the same stool in both heights which makes the choosing process unencumbered. If placing stools around the kitchen counter, then their seat height should be 24-29 inches while a bar height stool should have seat height that ranges from 30-36 inches. 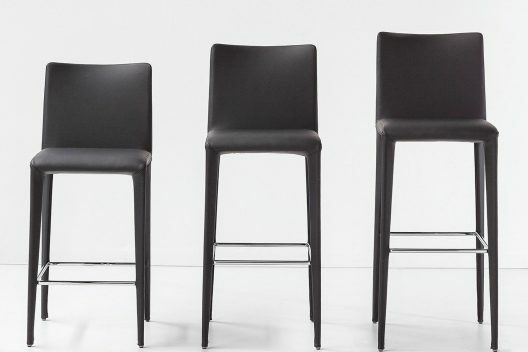 Another element to consider when selecting the perfect modern bar stool is whether it should be swivel and height adjustable. 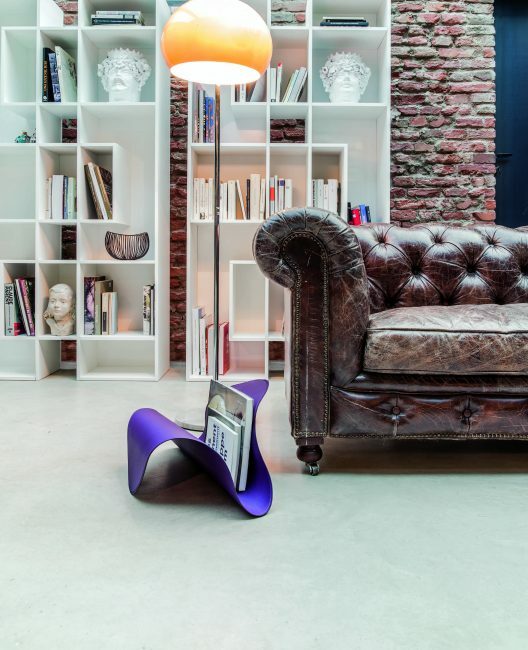 This plays a big role particularly in multipurpose areas that require a more flexible solution. For example, in a game room where the action can be spectated from different directions, the swiveling functionality can be very useful while height adjustable mechanism can serve family members with drastically different heights. 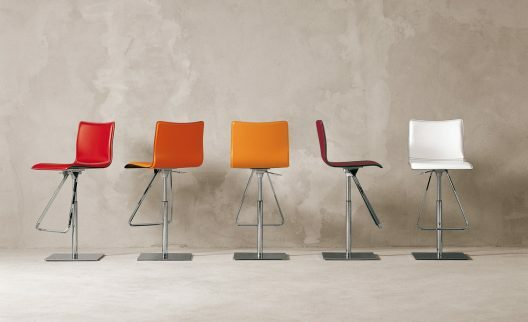 Some height adjustable stools can also be lowered to a dining chair height and can be reused as additional dining chairs. 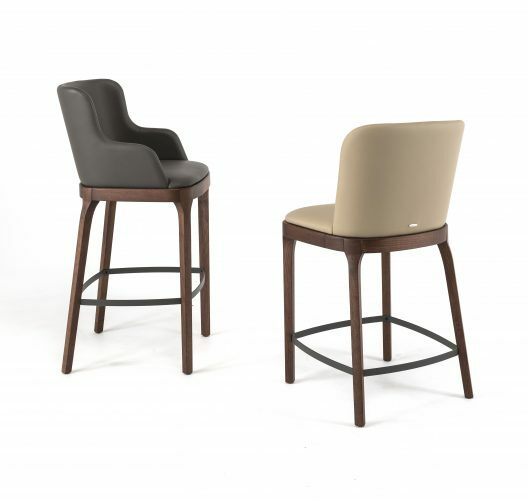 Some of the most popular examples of height adjustable stools include the Toto stool by Cattelan Italia which is very modern and sleek while the Club stool by Costantini Pietro serves the more transitionally decorated spaces with its button-tufted design. Lastly, stools that are chosen should be comfortable, but also flow with the rest of the decor. Whether they need to match the dining chairs nearby or the materials of the kitchen cabinets, the stools of choice should be consistent. In fact, many stools are now part of larger collections that also include dining chairs for this exact reason. 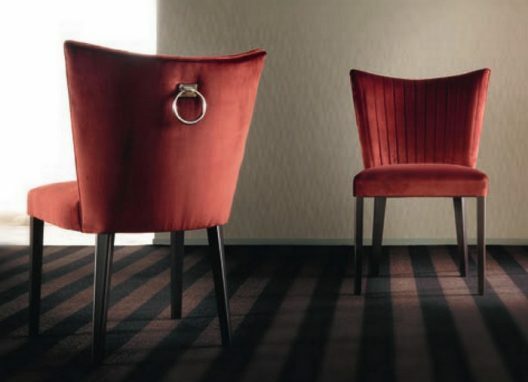 Take the very vast Isabel collection by Cattelan Italia that includes dining chairs as well as stools that can either be entirely upholstered or have metal legs to coexist with the metal surfaces around them. 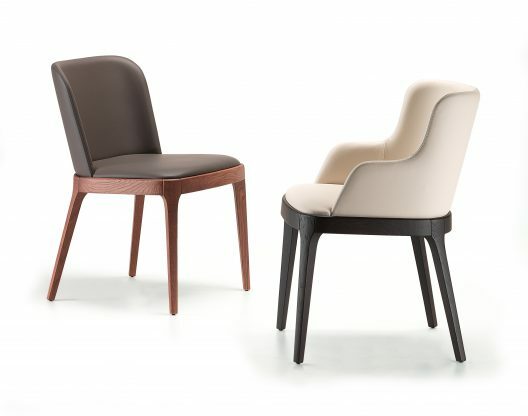 But if it’s wooden surfaces that is needed to match then collections like Arcadia and Magda both offer dining and stool options with wooden finished frames. Posted in Design, Dining Room, Kitchen, Seating | Comments Off on How to pick the perfect stool for your kitchen, bar or game room? There are lots of different styles of sofas and choosing one can be difficult. Here’s your guide on how to choose a sofa that’s right for your home. Buying a sofa is a major investment for your living space. With all the options out there, it might seem impossible to narrow it down to the right choice for you. Even if you think you know what you want, once you walk into a store or start browsing the images online, all the shapes, styles, and customization options can be overwhelming. Rushing into a couch purchase is likely to leave you with nothing but frustration and buyer’s remorse. If you’re on the hunt for a new sofa, it’s important that you make the right decision. Don’t make a choice you’ll regret–use this guide to get a sense of what you should be looking for. Here’s how to choose a sofa that fits your home. Like getting a tattoo or adopting a new dog, buying a sofa for your home is a huge commitment. There are a number of factors to consider–like size, color, design, and material. You need to know all the facts before you get started. Follow these steps to narrow down the right sofa for you and your home. This might sound obvious, but size is an important factor that’s often overlooked. Your couch will likely be the focal point of the room. It’s important that you pick something of a practical size that still complements the rest of your space. Be sure that you arrange your furniture carefully around your new sofa. Get out the tape measure and check the maximum sofa dimensions that will fit (and look good) in your space. You want something that fills the space without engulfing it entirely. Also, check the dimensions of any doors or stairways that the sofa will have to pass through during delivery. From the color to the material, your choice of upholstery fabric can have a huge impact on the room. Whether you pick a bold color or you decide to go for a simple couch, choose your pattern carefully to make sure it fits your scheme. 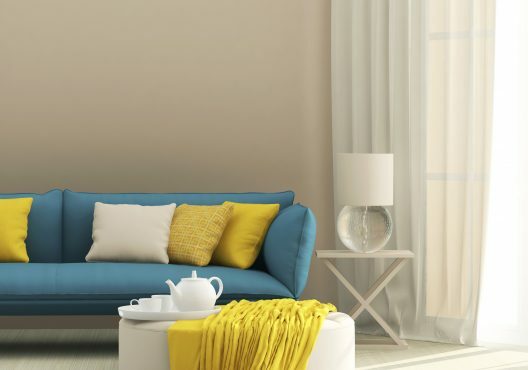 Remember that brighter and stronger colors will make your couch stand out in your living room–so pick the color based on whether you want your couch in the spotlight or blending into the background. Aesthetic might be important, but functionality is another key part of picking the right fabric. If you have kids or pets, go for a stain-camouflaging fabric with a dark color that’s easy to spot clean. Be sure that the fabric is washable or can be removed for cleaning. The filling makes the difference between a couch that’s there mostly for show and a couch that’s made for long movie nights. If your couch is more of an aesthetic choice than a personal one, or you’re planning on using it more for sitting upright, fewer feathers and more foam will make for a firmer, sleeker look. If you’re planning on using your couch as a comfy haven for Netflix watching, napping, and friendly get-togethers, opt for a more down-heavy filling option for additional comfort. When it comes to buying a sofa, don’t hold back on the cost. Your sofa will be the anchor of your living room–regardless of how you use it. It’s probably the largest piece of furniture in your space, and it’s what you’ll see first when you step into the room. It’s also a big social draw for your home. Whether for a formal reception or a casual movie night, you’ll probably have friends and guests sitting on your couch too. Your sofa is an important investment–and hopefully something you’ll have for years down the line. Take the time and money to pick out a durable, high-quality sofa for your home. Just like a car, it’s important that you give your couch a test drive too. If you’re buying in-store, this should be pretty easy. For online buyers, try making it to a store or showroom anyways–and try out the closest option to what you’re looking to buy. Don’t buy a sofa unless you’re sure it’s the right choice for you. When you’re deciding whether to buy a sofa, don’t just plop down for a few seconds and then give your verdict. Take your time sitting and lying down on each couch that you’re considering. If a salesperson tries to rush you, brush them off and be deliberate with each sofa. Check the depth, back support, comfort, and armrests. Also be sure to ask about the material and dimensions of the sofa. Some sofas come with additional perks–like a reclining chair, a love seat or extra cushions. Know everything about what the couch offers before you buy. From classy parties to family movie nights, your sofa will be working hard in your home. A couch is a functional powerhouse and the aesthetic focus of the room. Knowing how to choose a sofa takes a lot of research, but it could mean the difference between a successful purchase or a painful return. The size, color, style, and comfort level will set the room’s tone. If you choose correctly, it’ll be worth the investment. Are you on the hunt for a new couch? Contact us today to ask about our living room furniture and accessories. To start with, home office is not on the top of the priority list for many, especially if space is at a premium like in urban settings and smaller living spaces, yet the need for an office space, albeit a small is still one that keeps surfacing as a decorating challenge. 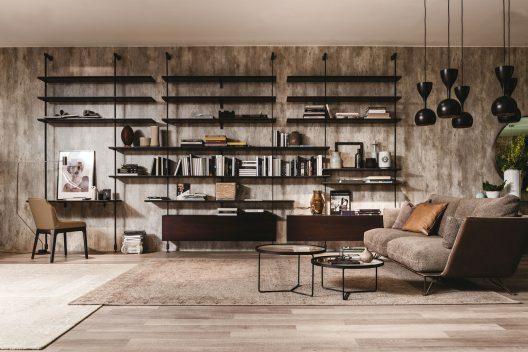 No longer an ugly office desk and a chair on wheels, the modern office desk can be creatively incorporated into bedrooms or living rooms thanks to creative and innovative solutions that are available for various Italian manufacturers. Here are a few examples that will certainly elevate in style without hindering on space. 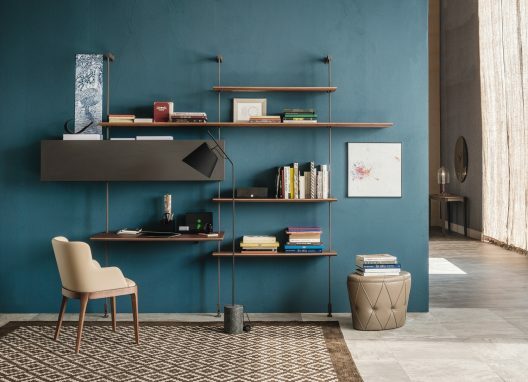 Airport system by Cattelan Italia is an example of a modular solution that offers storage, TV area, floating shelves, and the ability to add an office desk into the composition without disturbing the overall aesthetic design. Another way to fit a modern workspace into an apartment or small living area is by effectively utilizing corners with desks that can fit into a corner yet provide plentiful surface for work. 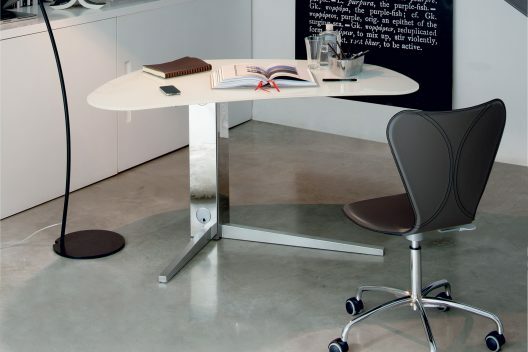 Examples of corner-oriented solutions include Storm and Island desks by Cattelan Italia. A great space-saving solution is to find an office desk that can also double as another functional furnishing element like the Nightfly vanity table by Rossetto that when closed can double as an office desk yet blends perfectly into the bedroom in terms of finishes and contemporary design.